Creche is available for babies and young toddlers every Sunday morning during the 9.45am service. Countdown meets every Monday at 3.15pm to 4.30pm for children between the ages of 3-10yrs. After the first 15 minutes of the 9.45am Church Service, all the children leave the main church and split into their age groups. Sunday School aims to provide a fun way to learn about the Bible through art, craft and games. YOUTH CLUB welcomes young people from P7 upwards. Spread throughout the Link, Hall and Youth Room, this gives the boys and girls the opportunity to meet friends, play games and chat in safe surroundings. Meets every Friday from 7.30pm to 9pm from September through until the end of June. 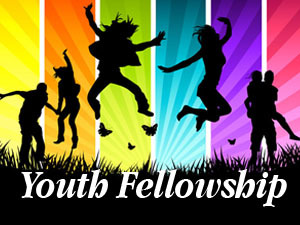 YOUTH FELLOWSHIP is for young people from Year 8 upwards. Held every Sunday night at 7.15pm - 8.45pm this gives everyone a chance to meet, play a few games, chat and discuss some topical issues challenging the world today.